Wondering if she could afford a view condo in Downtown or Queen Anne, this client thought she would contact a Realtor and see what was possible. And that’s where we came in. With interest rates at record lows and affordability at its highest level, now was the perfect time for this buyer to move into her dream condo. She was looking for a beautiful sparkling view of Puget Sound or Lake Union and more space than she currently had in her Magnolia condo. After educating her on the pros and cons of Queen Anne, Belltown, Downtown and South Lake Union we set out on the hunt. Once she found a condo she loved we did the necessary digging to make sure the condo building was a safe investment. Each building is different in terms of their rules and regulations, reserve amounts, and financials so each building has to be reviewed to make sure that the buyer is buying not only a unit they love but a building they are comfortable with. In this case, a new building was being built in front of our client’s condo and her beloved views were in jeopardy. We connected her with a surveyor who was able to draw a simulated view based off of the buildings plans from the city’s website. Luckily, her view was safe, so we moved forward. And Alterra was the winner! 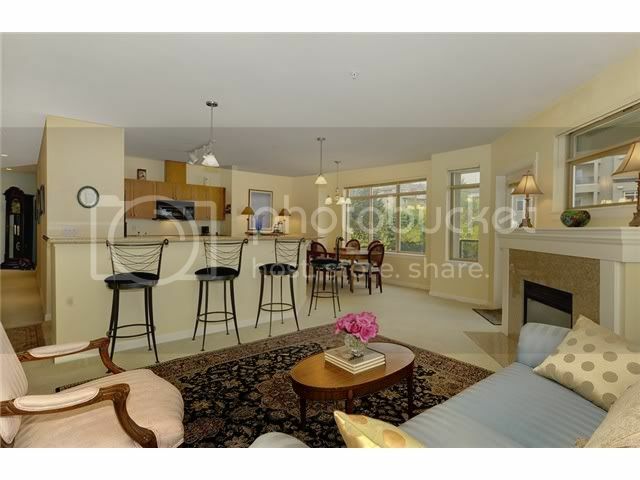 A large open condo with a lovely Lake Union view and a great deck space put this one over the top. And she made the move. With price negotiated and inspection items take care of, she was ready to settle into her new space just in time to watch the 4th of July fireworks from her deck. Cheers to watching the boats sail by!